State officials might consider flying old dish rags from the lifeguard stands at Boston Harbor beaches. They would be about as useful as the red flags now used to warn bathers about high bacteria counts. The Department of Conservation and Recreation tests harbor beaches daily or weekly for the presence of Enterococcus, a bacteria species typically found in human and animal waste, and present in sewage. If more than 104 “colony forming units’’ are discovered per 100 milliliters of bathing water, swimmers risk gastrointestinal and other ailments. Posting red flags under such conditions sounds like a responsible plan until you learn that it takes a full day for conservation officials to process that sample. The decision to dive in today is based on yesterday’s results. On Wednesday, a Boston Harbor advocacy group — Save the Harbor/Save the Bay — released a report card on the water quality at 18 Boston-area beaches. Nine of the beaches passed more than 90 percent of the stringent water quality tests, with Nantasket topping the list. Only Tenean Beach in Dorchester and King’s Beach in Lynn slipped below 80 percent. The flag flap is a reminder of how far the Boston Harbor beaches have come since the filthy 1980s. The subsequent court-mandated cleanup of Boston Harbor has been such a stunning success that people are now raising a fuss about being kept out of the water because it’s clean, not dirty. The beaches in South Boston are prime examples. They benefited enormously from the Massachusetts Water Resources Authority’s recent completion of a tunnel below Day Boulevard that captures both contaminated storm water and sewage that would otherwise wind up on the beach. Last year, Carson Beach flew red flags just two times indicating high bacterial levels. But both turned out wrong, according to Save the Harbor’s data. There were two so-called exceedances at the beach. But on those days, the beach flew blue flags indicating it was safe to swim. The dirtier the beach, the higher the stakes. Wollaston Beach in Quincy has a reputation for great food stands and marginal water quality. It’s also one the easiest beaches to reach for Boston-area families who aren’t part of the “cottage on the Cape’’ crowd. Last year, red flags flew 17 times on the portion of the beach near Sachem Street. Ten were wrong. That translates into a lot of families sweltering unnecessarily. On three occasions, bathers were beckoned into the water by blue flags that also turned out to be wrong. Gary Briere is in charge of beach testing for the Department of Conservation and Recreation. He acknowledges that the current flag system “is not satisfying our needs to provide accurate information.’’ But his hands are tied by state and federal laws requiring beaches to be monitored and posted for bacterial contamination. Officials at the state Department of Public Health are sympathetic, but only to a point. “I’d rather see someone out of the water for an additional day than (see them) run the risk of illness,’’ said Suzanne Condon, director of the agency’s environmental health unit. After spending nearly $5 billion to make the harbor swimmable, that shouldn’t be the choice. When storms tax sewer systems, it increases the likelihood that sewage and stormwater will be released on the beach. Scientists have found that rainfall measurements on the previous day are a significantly better predictor of contamination on many beaches than day-old bacteria samples. A 2003 study on the effects of previous rain on four Boston Harbor beaches from 1996 to 2000 by the Harvard School of Public Health has shown this to be the case. Such data already have prompted DCR’s Briere to post red flags at several Boston Harbor beaches based on specific rainfall measurements. But federal and state laws still require him to post on days that he thinks the water is clean. This summer, a do-it-yourself system might be the best option on Boston Harbor beaches. If it rained heavily the day before, stay out of the water and let the tide cycles do their work. 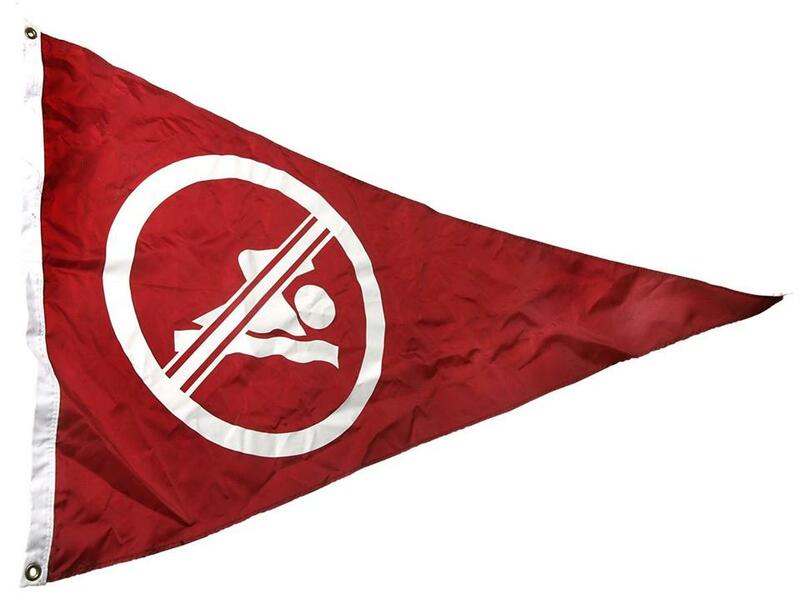 As for the red flags, obey them at the risk of ruining a nice day at the beach.